Cute Animal Tab is a collection of the cute and funny animal pictures. Using various social networks we show you cute animal pictures every time you open up a new tab in your browser. 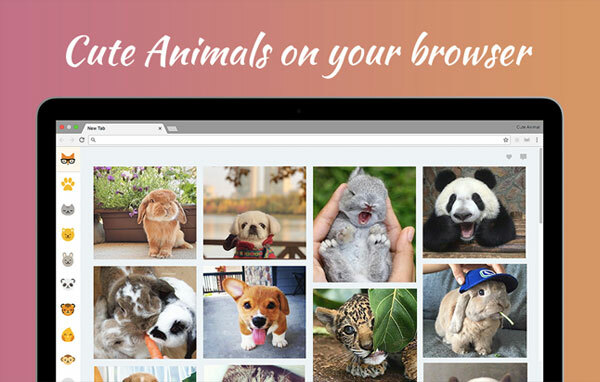 As animal lovers we wanted a new way of seeing the cutest animals without searching the web every time. So we came up with this Chrome Extension. So now every time we open up a new tab we get overloaded with cute animal pictures, from baby puppies to dressed up bunnies! With Cute Animal Tab you are always one click away from the cute animal pictures. Every time you open a new tab on your computer you are presented with some of the best photography of our cute little friends.